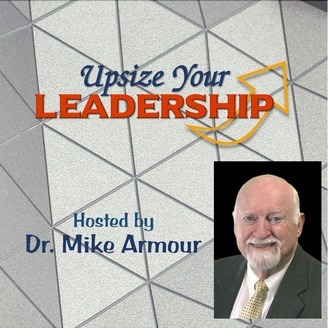 From the smallest of startups to the C-Suite of global corporations, Dr. Mike Armour has shown thousands of leaders how to step up their game. Now he brings this same wisdom and insight to his audience on Upsize Your Leadership. 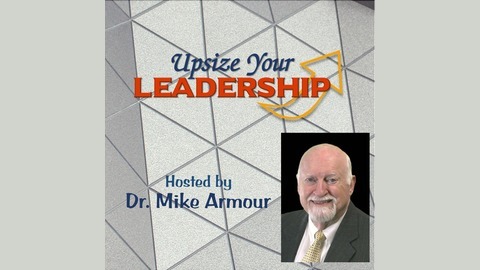 Every episode explores timeless principles of management, leadership, and personal success. Dr. Mike underscores these principles with engaging stories and interviews with exceptional guests. Whether you’re a C-Suite executive, a veteran manager, or even an aspiring leader, you will always find practical, actionable ideas on Upsize Your Leadership. Leadership is one of the oldest roles in human society. Even the most primitive village needed leaders to assign duties and settle disputes..
From that starting point to the modern world, every advance in human society and technology has required leaders to master new leadership skills and techniques. For leadership, the challenge to learn and adapt to change is never-ending. Great leaders are lifelong learners. But true lifelong learning is more than merely learning new things over a lifetime. It is an intentional, purposeful, structured approach to personal self-development. I've had the privilege of coaching dozens of leaders, managers, and entrepreneurs who exemplified what lifelong learning is all about. They embrace it. They embody it. They make it their way of life. In this episode I focus on four traits which are common to these exceptional men and women. For a printed copy of today's program, go to www.LeaderPerfect.com/podcast/. Or contact me on the same page.